NAUJIENOS - NEWS - Website of azijosmagija! PARODŲ NAUJIENOS! DOG SHOW NEWS! 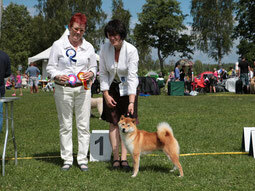 our shiba girl KISA (Legenda Arden Mariko) exc.1, JN and Best Junior, and she closed Lt JCH!!! Our american akita girl AURA ( Manfull Way Aurum Bogemia) on her very first show, got 2 X exc1, 2 X JN, and 2 X Best Junior!!! 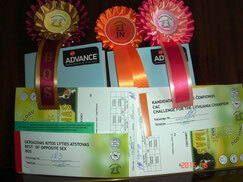 Spring, great weather and even more brilliant and stable results! Unfortunately we can't stay at BIS program. 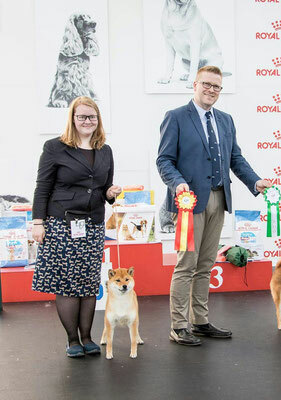 Our shibas doing great!! !We are happy!!! Mūsų šibos pasirodė puikiai, mes labai laimingi!!!
" 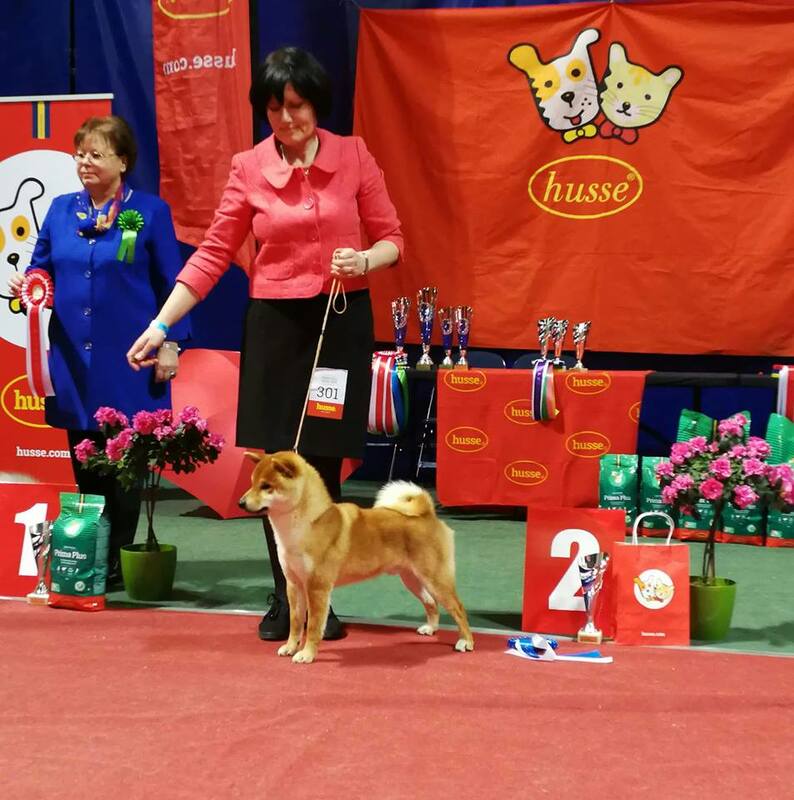 Keiko" Kanojo Ayashi Azijos Magija-open class- exc,CAC, N and BOS! 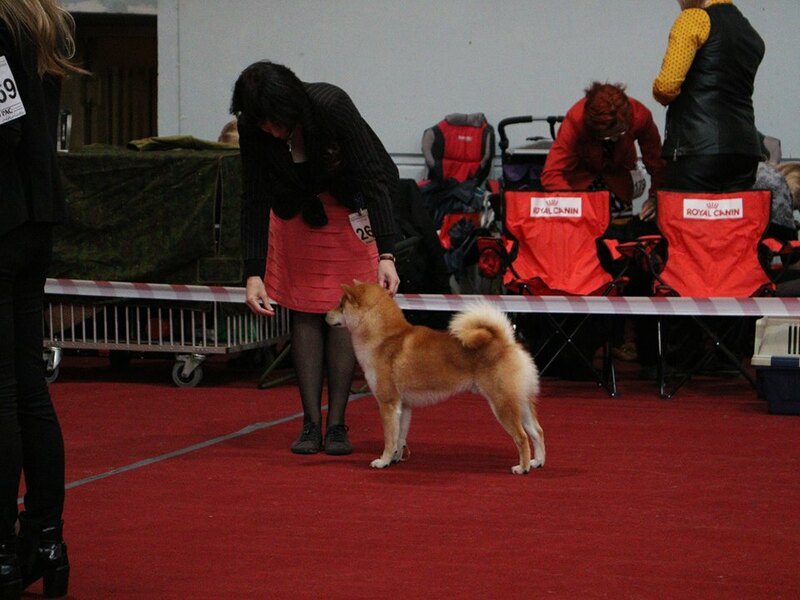 "Tsuki" Tsuki Watashi Azijos Magija- first time in junior class ( she is only 9 month) 2x-exc1, 2x-Best J!
" 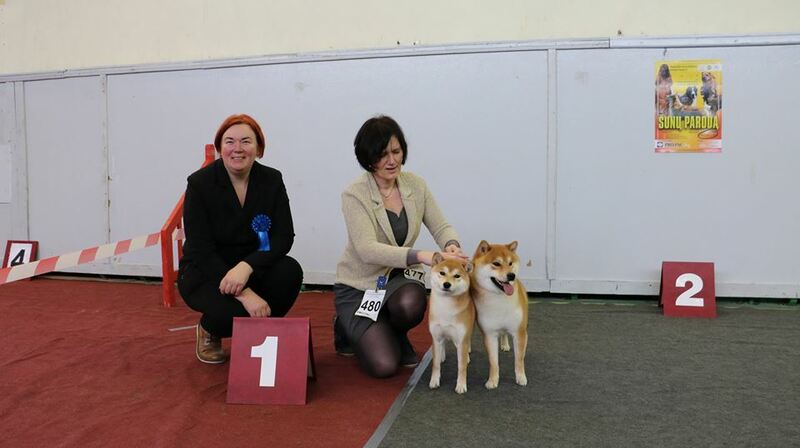 Katsu" Demishstar Choutenbou- open class- 2x-exc1, 2x-CAC, 2x- N, 2x- BOB!!! 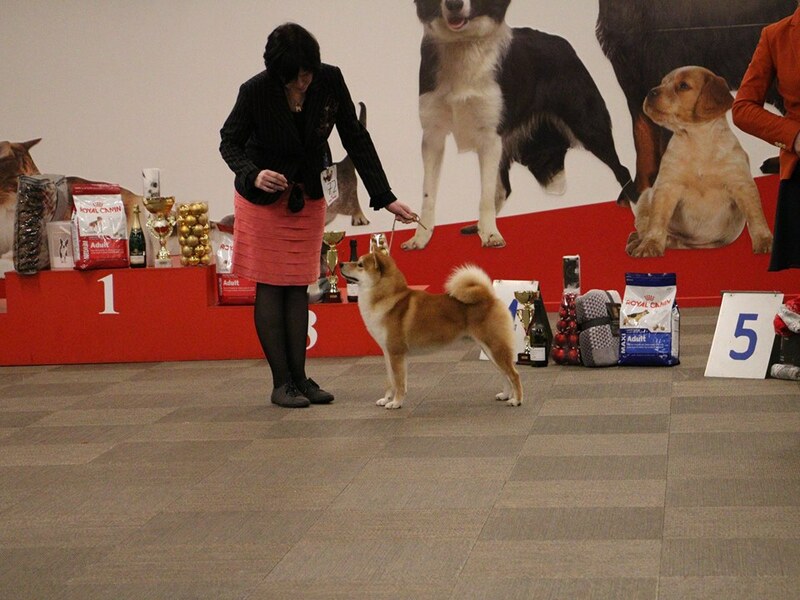 And finaly- BIG-2 and BEST Club Dog 1!!! 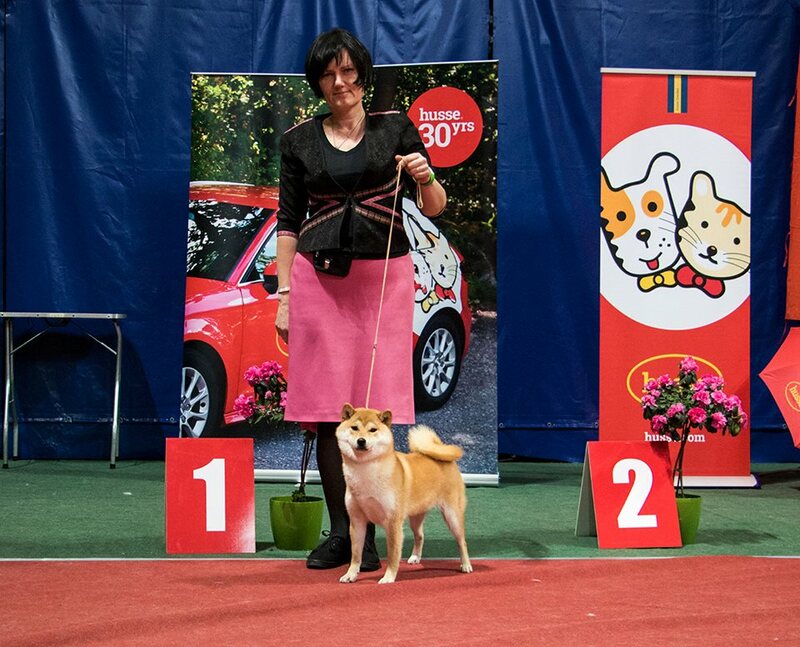 Mūsų veisimo berniukas REIZO WATASHI AZIJOS MAGIJA-2XCAC, 2XN ir 2XBOB, ir BIS programoje 2XBIG-5!!! Labai džiaugiamėsir didžiuojamės! Visa komanda- ŠAUNUOLIAI!!! 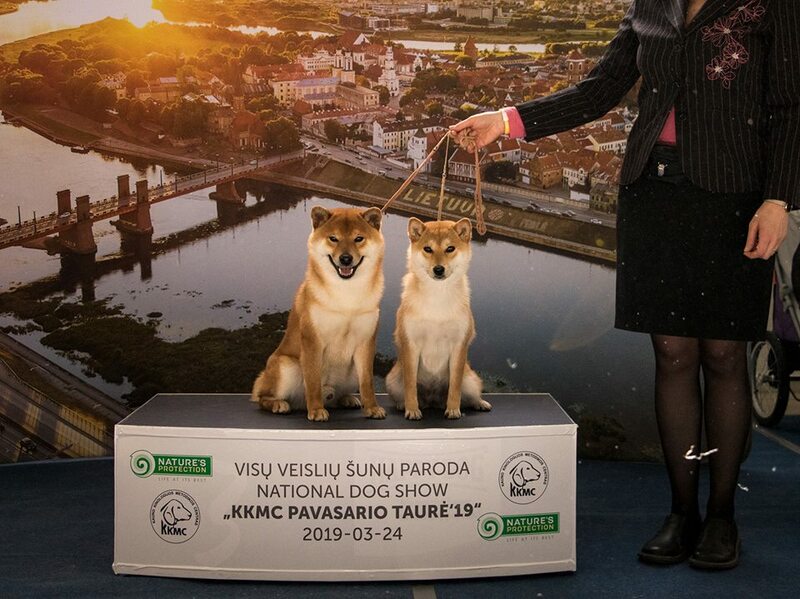 KATSUHARU- 3x-exc, 2x-res.CACIB ir laimėta atranka į Čempionų čempionatą!!! 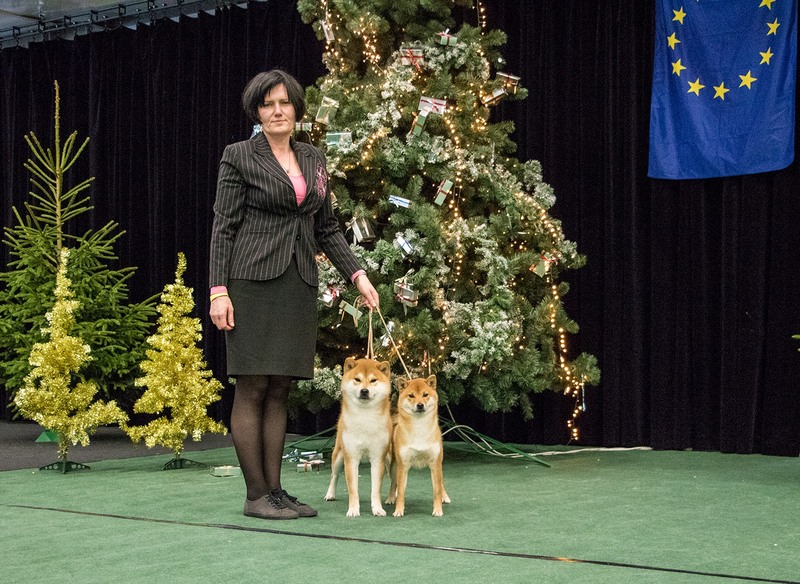 UTA WATASHI AZIJOS MAGIJA- 3x-exc, 2x-CAC,res.CACIB, N, CACIB, BOS!!! Successful day for our team in LATVIA!!! 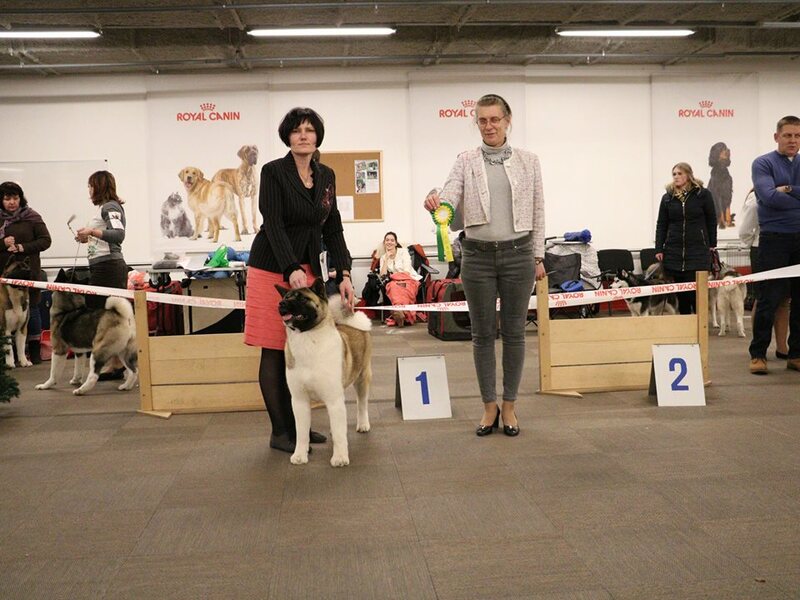 15 december 2018- FCI V group show Ryga we brought two Latvian champions!!! 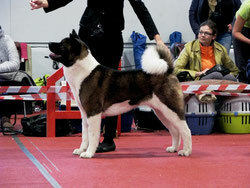 DEMISHSTAR CHOUTENBOU- intermediate class- exc,Lv CAC, Best Male and finally BOB!!!! 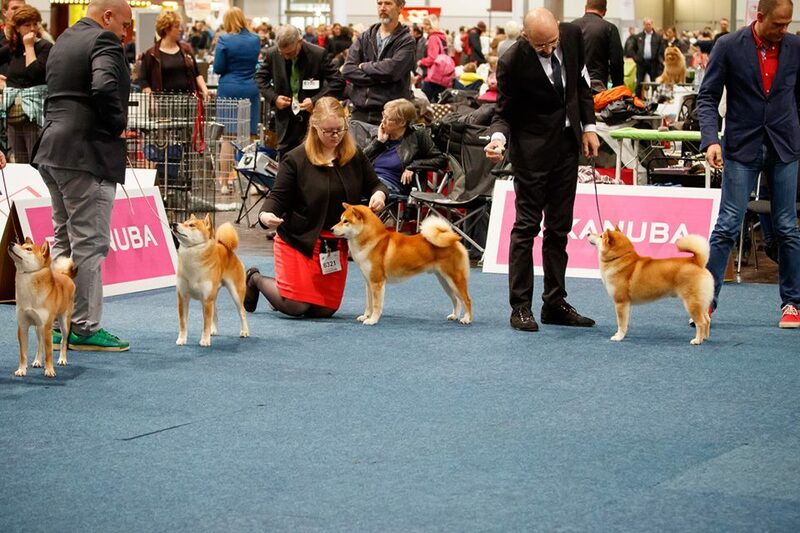 Wonderfull show weekend with my shiba girls! 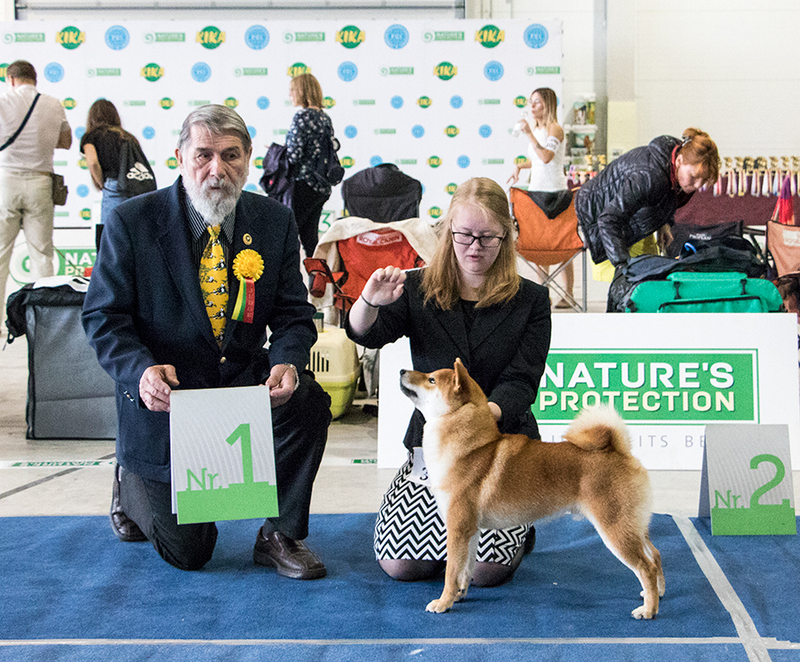 2018-10-20&21 NDS "Panevežys Autumn 2018" and NDS " Aukštaitijos Cup 2018"
Our baby girl TSUKI WATASHI AZIJOS MAGIJA (5month) -2x v.perspective, 2x-best baby and BIS BABY-2!!! 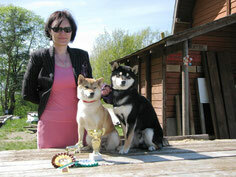 And our open class girl UTA WATASHI AZIJOS MAGIJA 2x exc, 2xWinner, BOS ,BOB and BIG-3!!! 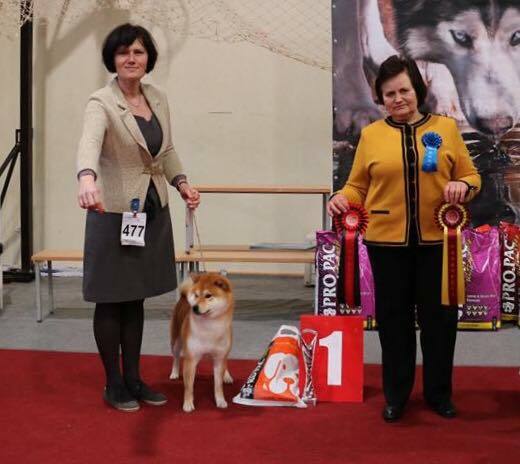 Big thanks for judges Julija Aidietienė, Ala Filatova and Rūta Merkevičienė!!! 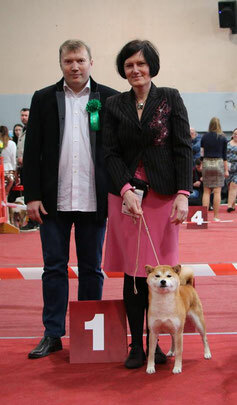 our shiba boy KATSU (Demishstar Choutenbou) finished his carrier in junior class with 3X JW, 3X BEST JUNIOR and 3XBOB!!! 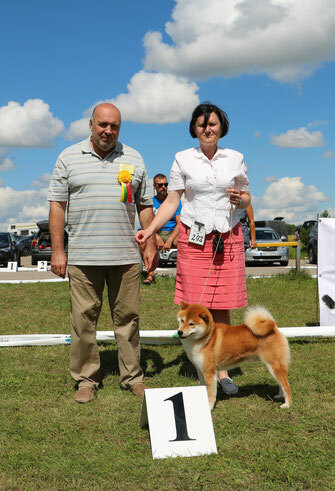 2018-09-15 in Vilnius dog show "VSMB'18" he got exc.,BEST JUNIOR and BOB!!! KATSU LITHUANIAN and LATVIAN JUNIOR CHAMPION NOW!!! 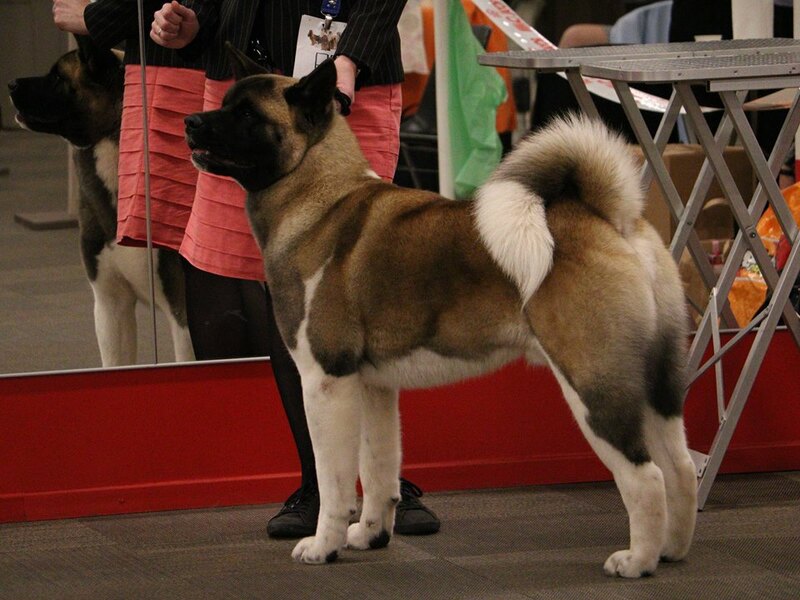 our "KATSU" (Demishstar Choutenbou) 12month old, junior class- exc.,JW, Best Junior and BOB both days!!! On the first day he was selected for BIG 5 top 10! 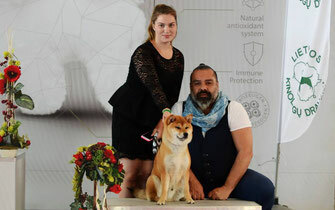 Big thanks for the judging Tomasz Borkowski (Lenkija/Poland) and Svietlana Postarnakova (Lietuva/Lithuania). 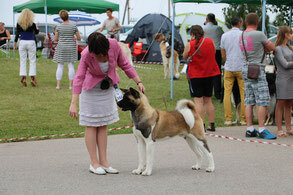 Our young rising stars doing great at FCI 5 group dog show Ryga, Latvia. 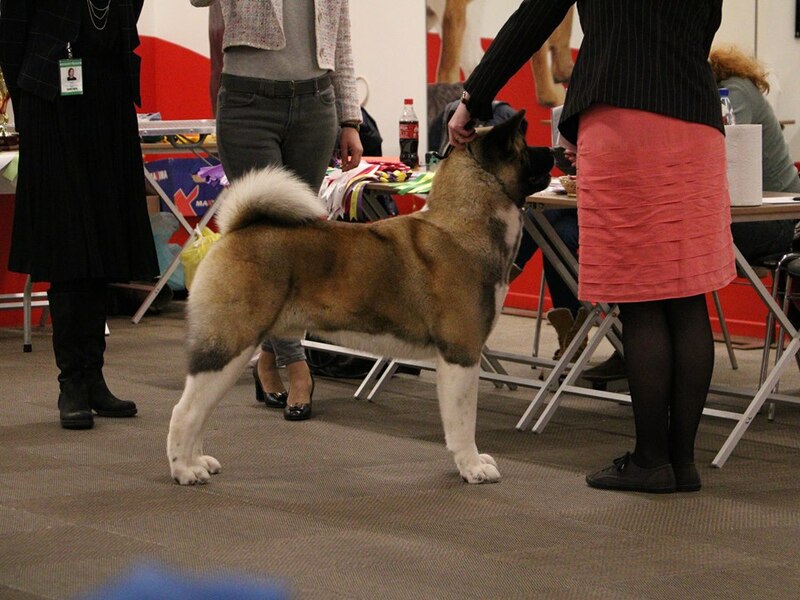 our UTA WATASHI Azijos Magija,13 month old, exc, Jun CAC, PP, best female1 and finaly BOB!!!! 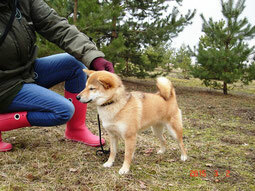 She is LT and LV Junior CH now! 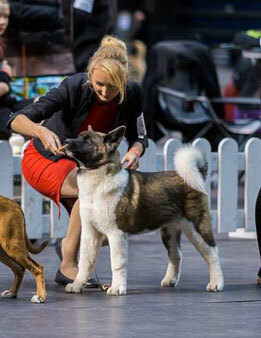 BIG THANKS TO OUR HANDLER AND FRIEND Neringa Uselytė. WHAT A WONDERFULL SHOW NEWS!!!! 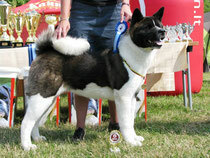 TREASURE AZIJOS MAGIJA "ALISSA" 5 MONTH OLD, ALREADY CONQUEST SHOW RINGS!!! 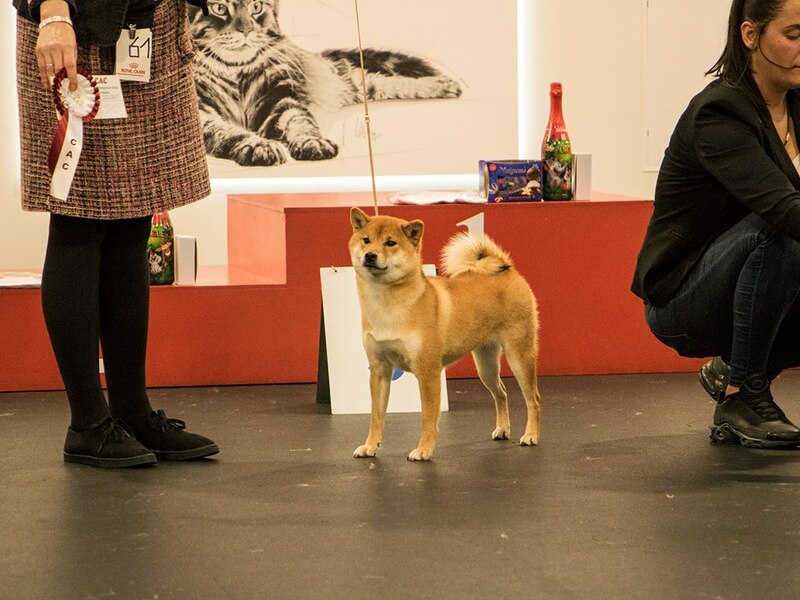 VERY PROMISSING, BEST BABY AND FINALLY SHE BECAME BEST IN SHOW BABY!!!!! MANY CONGRATS TO OWNER,- DEAR REELA TOOMSALU!!! our girl Kanojo Ayashi Azijos Magija "Keiko", after a long break did a great job! And became a new Lithuanian Champion!!! 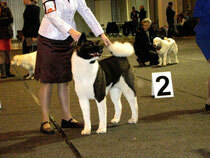 KATSUHARU- EXC1, LTCAC, N, CACIB, BOB AND FINALLY BIG-3 AND BIS LITHUANIAN DOG!!!!!!!! 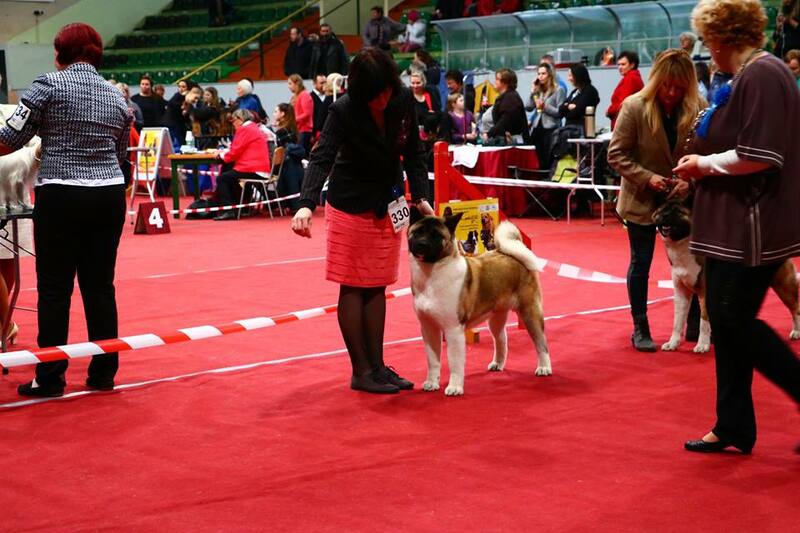 Our boy DANGEROUS BEAUTY AZIJOS MAGIJA, after long break did great job!!! 2Xexc.1, 2XCAC, 2XN, 2XBOB and finaly BIG-4!!! 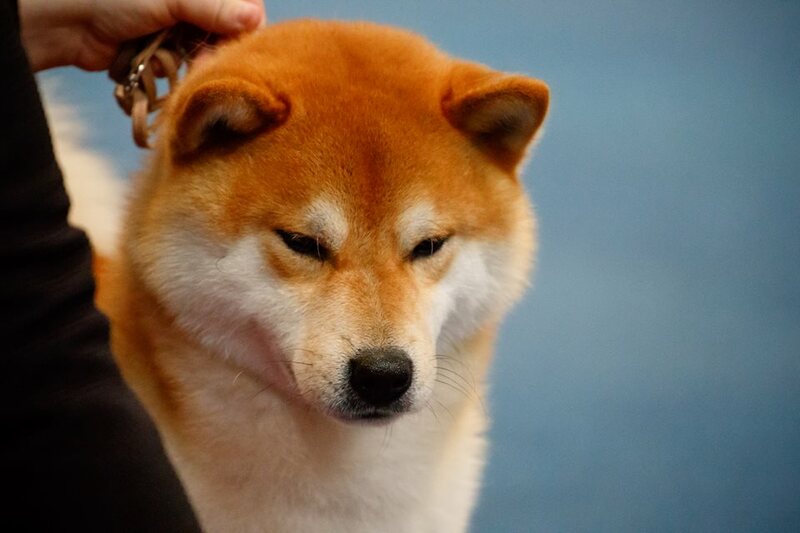 He is LT CHAMPION NOW!!! KATSUHARU- OPEN CLASS, EXC.1, CAC, RES.CLUB CAC!!! Our beautifull boy KATSUHARU in Estonia,International dog show in Parnu 2017-07-09,10 2XCACIB, won 2Xexc.1, 2XCACIB, and 2xBOB!!!! 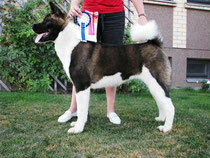 Now he is Estonian champion!!! 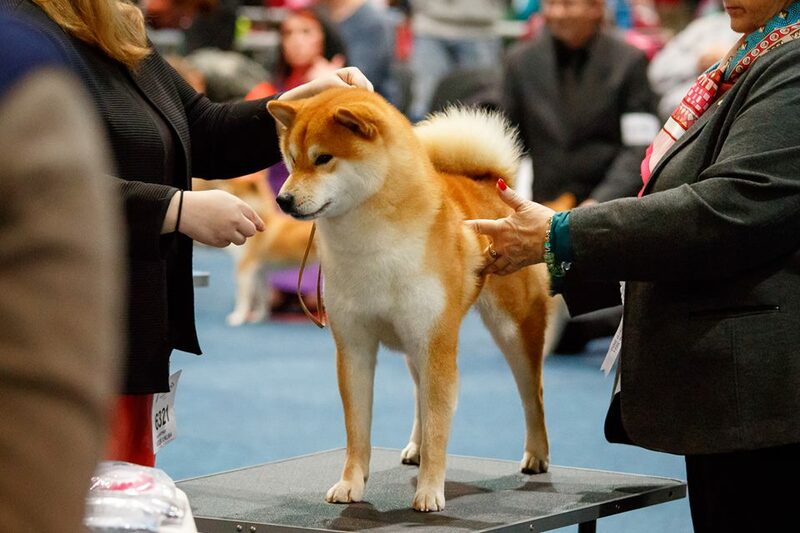 KATSUHARU won exc1 in open class, Winner, CAC and BOB!!!! Now he became a LT CH!!!! WE ARE SOOO PROUD AND HAPPY!!!!! 03-04 ex. 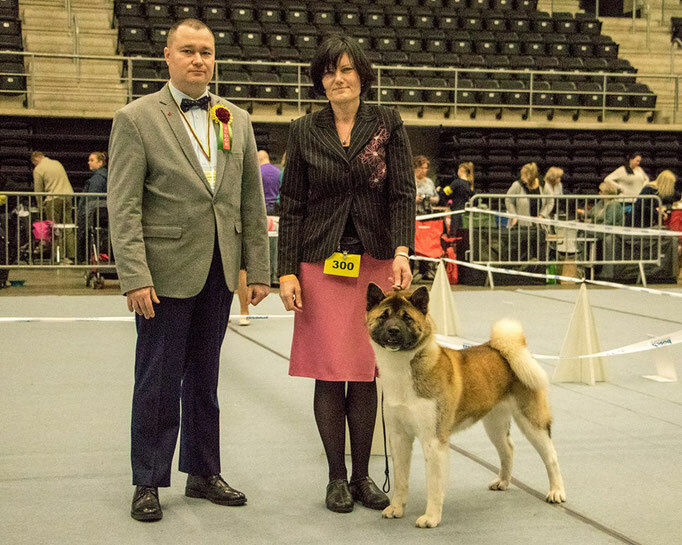 1/2, CAC, N, CACIB, BOB - LITHUANIAN WINNER '2017!!!!! Labai džiaugiamės ir sveikiname su puikiu pasirodymu Harukio savininkus Martyną Lašinską ir Lauryną Sargūnaitę!!!! 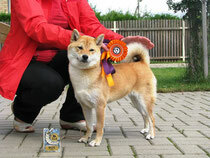 Dee Dee Song Azijos Magija- last time in junior class,-exc.1, Junior winner, Best junior and BOS! Katsuharu,-exc, CAC,N, BOB and finaly BIG-1!!!!! 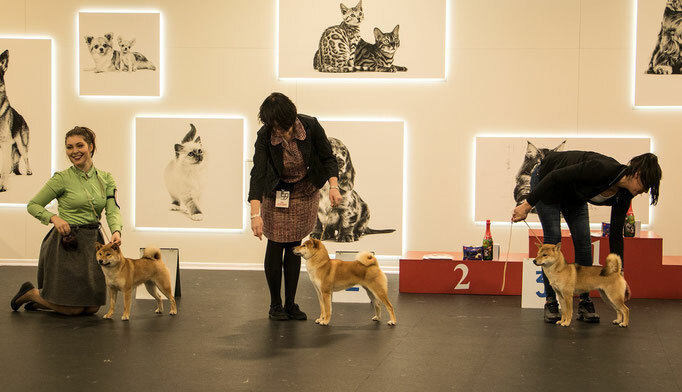 Thanks for judging Daiva Rimaityte and group judge Babianskiene Audrone!!! 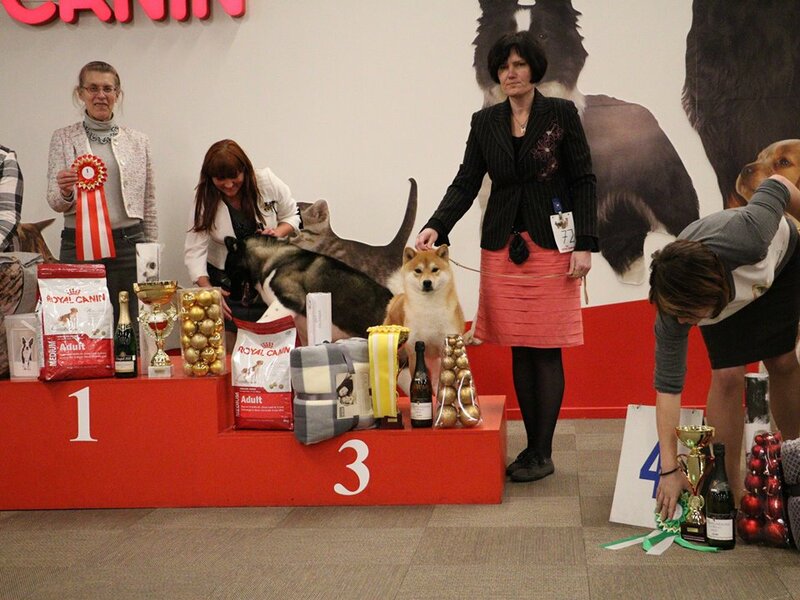 19.02.2017 National dog show '' "Panevėžio taurė*2017"
Dangerous Beauty Azijos Magija- exc, CAC, N, and BOB, and finaly BIG-III, and Best club "Lunaris"dog- IV!!!! KATSUHARU, - OPEN CLASS, EXC.1, CAC, N, CACIB AND BOB!!!! THANKS FOR NICE DESCRIPTION JUDGE KATARZYNA FISZDON! 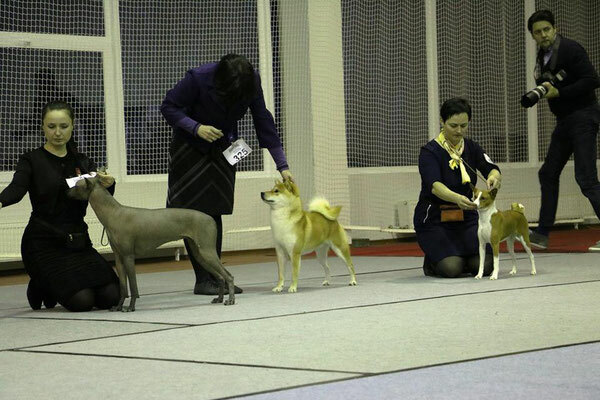 "Asik"- exc1, J CAC, Best male 1, BOB and finaly BIS#3!!!!!!! Big thanks for judging I.Azen! Big thanks for judging Mr. Marco Lepasaar (Est)!!! 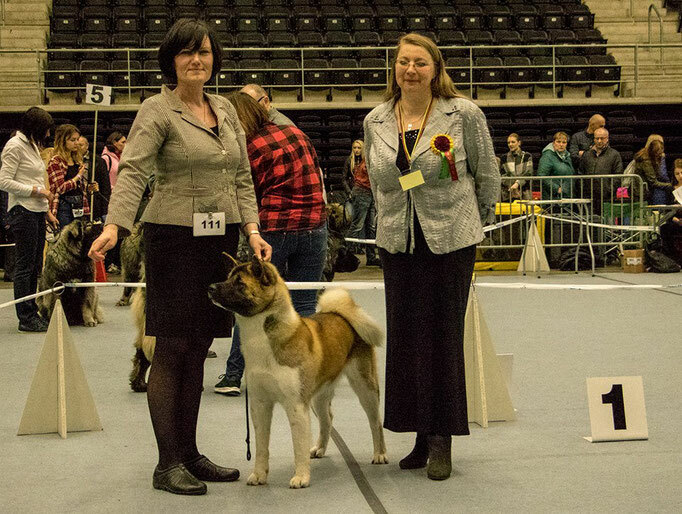 2016-10-22 National Dog Show "Panevezio ruduo'2016"
2016-10-23 National Dog Show "Aukstaitijos Taure'2016"
Our breeding american akita boy DANGEROUS BEAUTY Azijos Magija aka Bumer- (10.22)- exc.1(5! 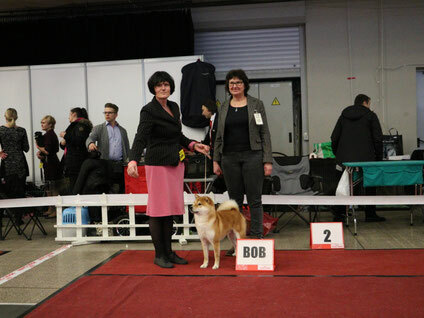 ), JN, Best Junior, BOB and finaly BIS JUNIOR 3!!!!!!!!!! 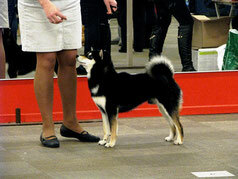 His sister DEE DEE SONG Azijos Magija in her very first show (10.23 )- exc.1, JN, and BOS!!!! 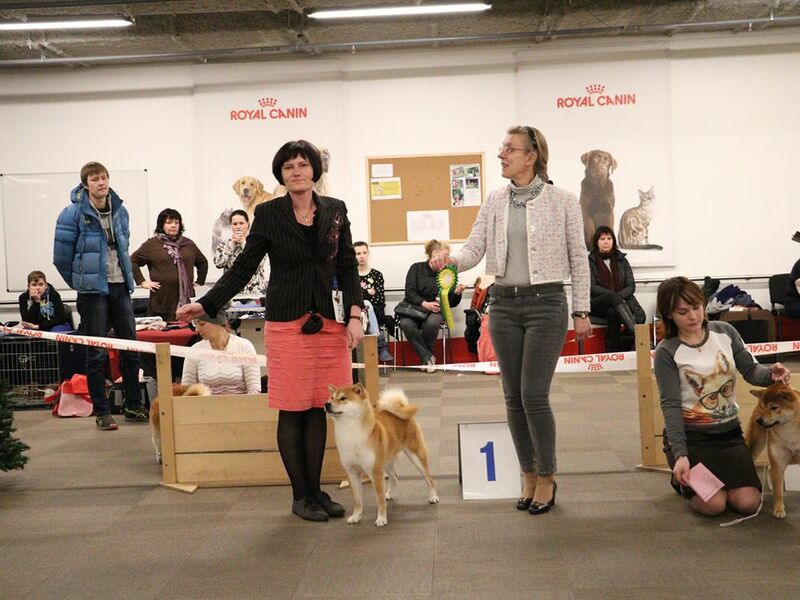 Our shiba boy KATSUHARU first time in open class (and unfortunately out of cout ) - both days exc.1, 2XCAC!!! 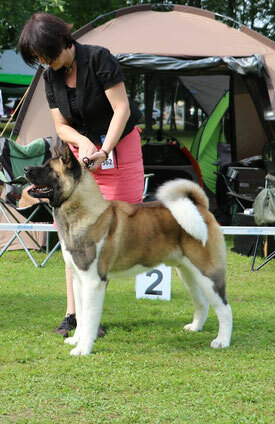 DANGEROUS BEAUTY AZIJOS MAGIJA aka" BUMER'' (11month old), junior class- EXC1, BEST MALE and BOS !!! It was a wonderfull day!!!! KATSUHARU- exc1, Best Junior, BOB and finaly BEST IN GROUP!!!!!!!! Thanks for the great description honorable judge Laurent Heinesche,Luxemburg! And many thanks to honorable group judge Augustin Ionescu, Romania! 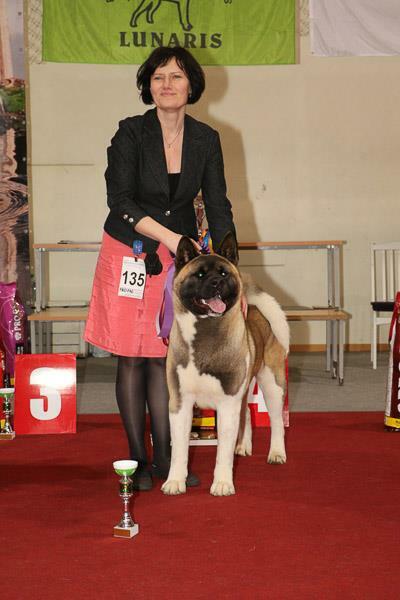 Our breeding boy Dangerous Beauty Azijos Magija (Bumer) - junior class, exc1, Best Junior and BOS!!! SUPER DAY IN PARNU, ESTONIA!!! 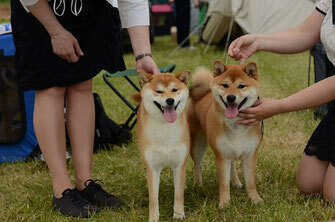 And finally JUNIOR BEST IN SHOW-2, and BIG-2!!!!!!!!!! KINRYOKU AYASHI AZIJOS MAGIJA, ow.Martynas Lasinskas, Lauryna Sargunaite, handler Karolina Mikulskyte- exc.1, Junior Winner, Best Junior and BIS Junior 3!!! LKMS Taure' 2016 2016-06-05, exc1, Junior Winner, Best Junior, BOB and finaly BIG V group 3 place !!! 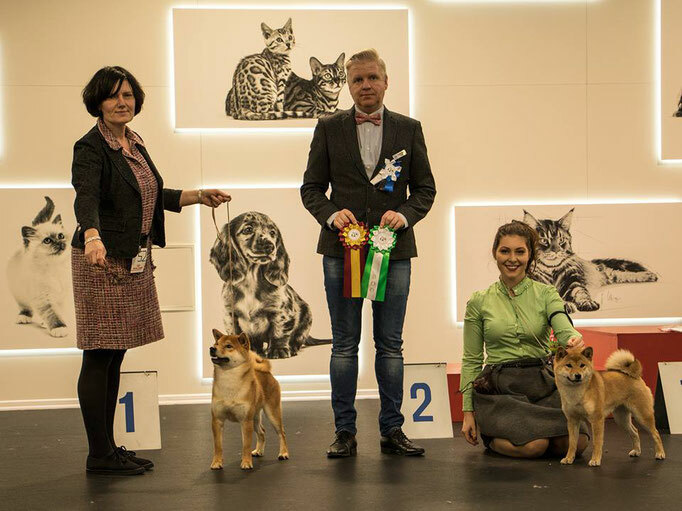 ow.Martynas Lasinskas, Lauryna Sargunaite, handler Karolina Mikulskyte! 2015-10-24 &25 vyko dvi CAC parodos Panevėžyje. Mūsų šiba Maya pirmą kartą dalyvavo atviroje klasėje- abi dienas "puikiai", CAC, N !!! 2015-10-24 &25 at two National dog show Panevezys our Maya first time in open class,only 15 month old, and both days "Exelent", CAC and N !!! 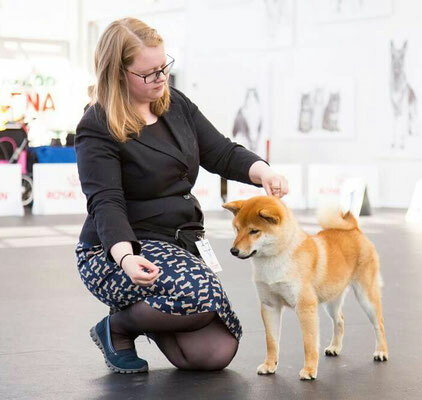 Maya- "Puikiai", JN, Best Junior ir BOS. Šioje parodoje ji pasitvirtino Lietuvos Jaunimo Čempiono titulą. Our Maya- EX, JN, Best Junior and BOS!!! She closed LT Junior CH title! 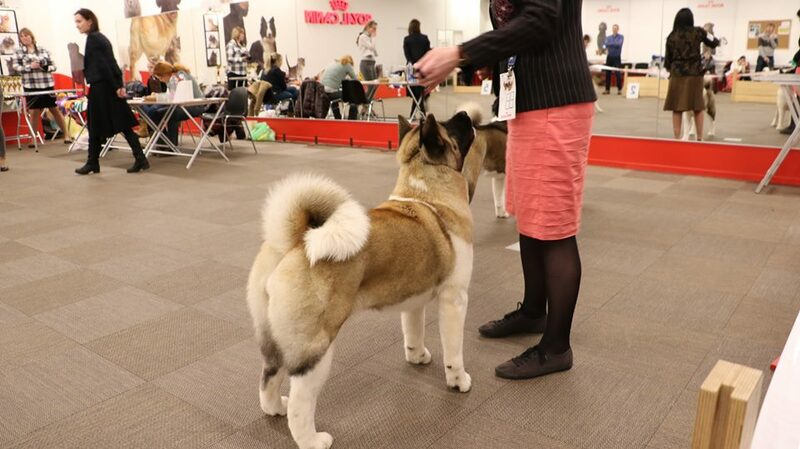 2015-05-23 INTERNATIONAL DOG SHOW "MOLETAI CUP'15"
OUR LITTLE GIRL WATASHI HIME AZIJOS MAGIJA AT HER FIRST SHOW IN JUNIOR CLASS- JW, BEST JUNIOR & BOS! 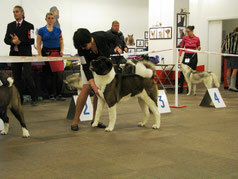 OUR BOY CHILLY -OPEN CLASS-EX, CAC, N & BOB! WONDERFULL DAY IN RYGA, LATVIA! 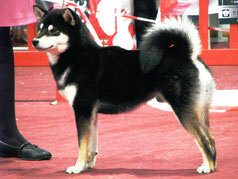 "CHILLY"- EX1, JUNIOR CAC, PP, BEST MALE,BOB! HE IS LT & LV JUNIOR CHAMPION NOW!!! EX1, CC, LV CAC! 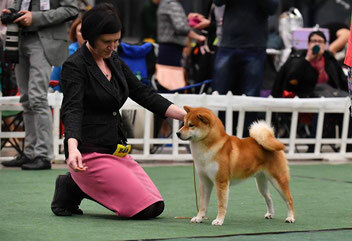 SHE BECAME LV CHAMPION! 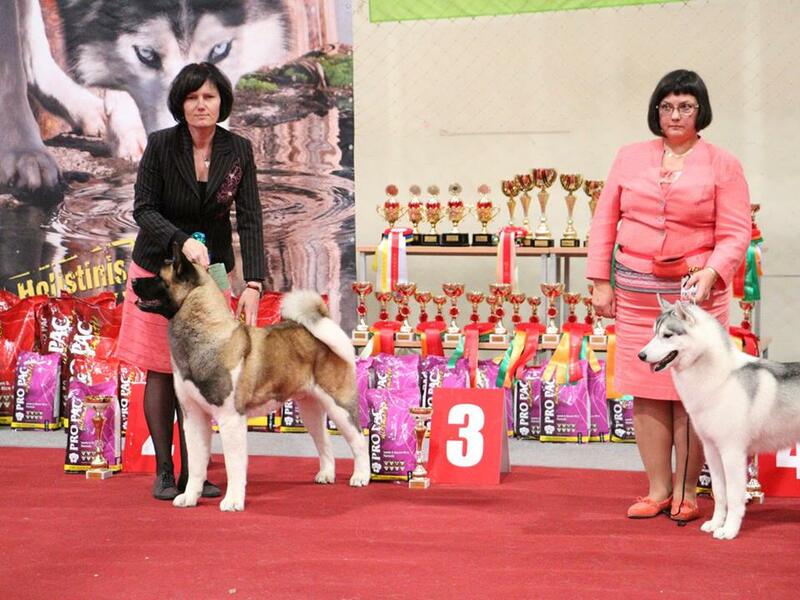 AFRODITE'S CHILD INCIPITA VITA- EX1, JUNIOR WINNER, BEST JUNIOR, BOB, BIG-3, BEST CLUB DOG IN SHOW-3 !!! 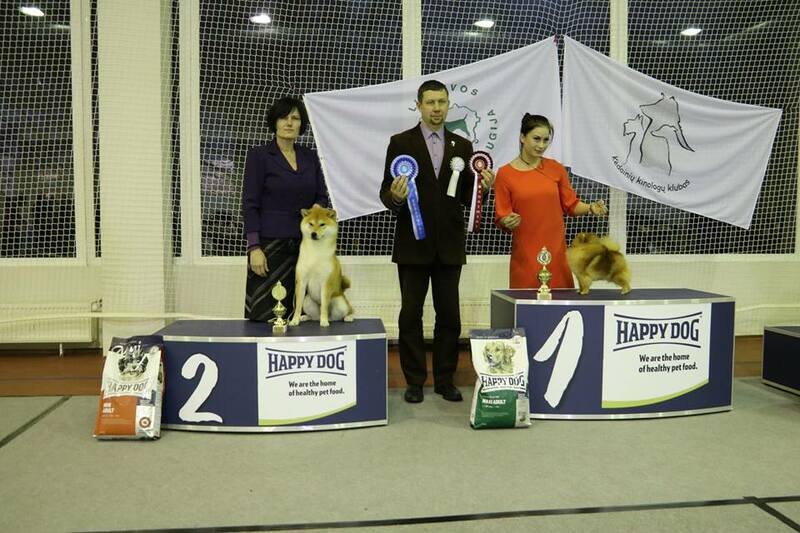 MOLNARVOLGYI "HANDO'S" YANDA- EX1, CAC, N, BOB, and she is Lithuanian Champion now!!! 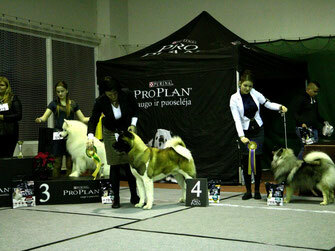 MOLNARVOLGYI "HANDO'S" YANDA IN OPEN CLASS- EX1, CAC, N , BOS!!! 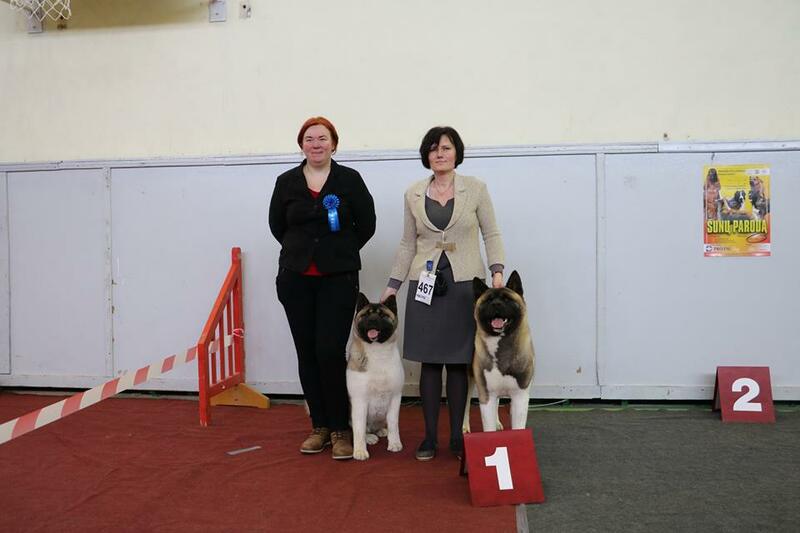 2014-02-22, 02-23 Panevezys CAC, Molnarvolgyi "Hando's Yanda- 2XCAC ( first time in open class), Iciytadaki Go Tokime CAC, N, BOB!!! 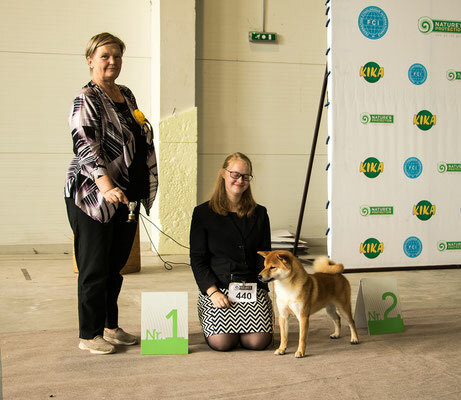 OUR YANDA -ESTONIAN, LITHUANIAN & LATVIAN JUNIOR CHAMPION NOW!!! 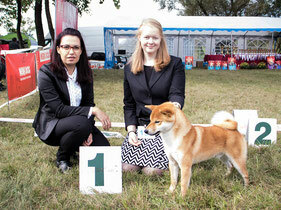 Yanda - ESTONIAN JUNIOR CHAMPION NOW!!! MOLNARVOLGYI "HANDO'S YANDA- EX1, JN, BOS!!! ICIYTADAKI GO TOKIME- EX1, CAC, N, BOB!!! 2013 rugpjūčio 17d. Šalčininkuose vykusioje parodoje "ŠALČININKŲ VASARA 2013" Janda gavo "PUIKIAI", JAUNIMO NUGALĖTOJA, GERIAUSIAS JAUNIMAS IR GERIAUSIA VEISLĖS ATSTOVĖ(BOB), teis. Marta Heine, Vokietija. Taigi Janda tuo pačiu tapo LIETUVOS JAUNIMO ČEMPIONE!!! 2013-08-17,DOG SHOW "ŠALČININKŲ VASARA 2013" YANDA GOT "EX", JUNIOR WINNER, BEST JUNIOR & BOB. 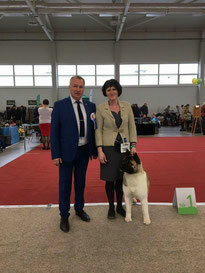 Judge Ms. Marha Heine, Germany!!!! 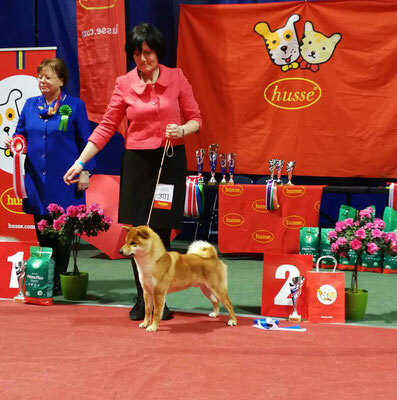 She is new LITUANIAN JUNIOR CHAMPION NOW!!! PARODŲ NAUJIENOS ! 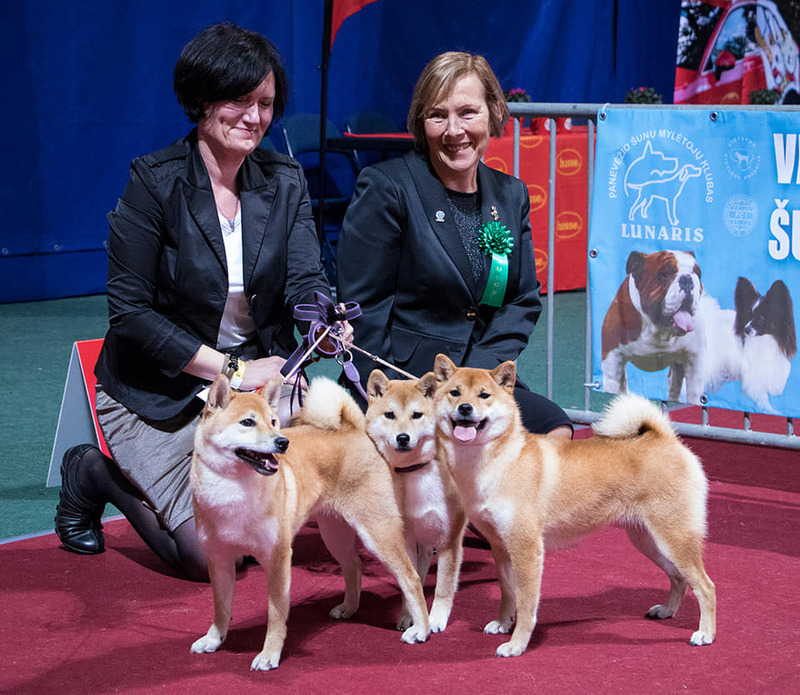 DOG SHOW NEWS! 2013-07-20 Ukmergės parodoje mūsų Iciytadaki Go Tokime laimėjo CAC, N ir BOS!!! 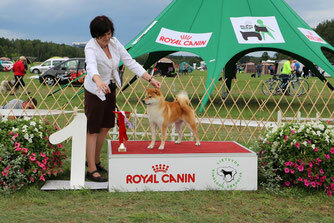 2013-07-20 in Ukmerge Dog Show our Iciytadaki Go Tokime won CAC, N & BOS!!! 2013 M.PASAULINĖJE PARODOJE BUDAPEŠTE MŪSŲ TOKIMĖS BROLIS ICIYTADAKI GO TOBIMARU(VEIS.IR SAV.K.ILLES) JAUNIMO KLASĖJE GAVO ĮV.PUIKIAI 1, JUNIOR WINNER IR BEST JUNIOR!! !DABAR JIS PASAULIO JAUNIMO ČEMPIONAS!!!!!!! !SVEIKINAME, KRISZTINA!!!!!!!!!! 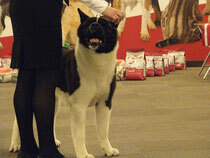 WORLD DOG SHOW-2013 IN BUDAPEST -OUR TOKIME BROTHER ICIYTADAKI GO TOBIMARU GOT EX.1, JUNIOR WINNER & BEST JUNIOR!!! HE IS WORLD JUNIOR CHAMPION NOW!!! 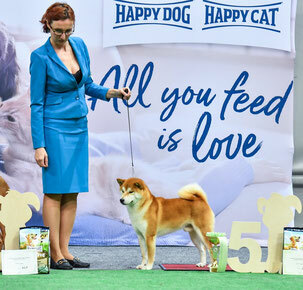 !CONGRATS, KRISZTINA!!!!!!! 2013 metų balandį veislyne vėl naujas gyventojas- Amerikiečių Akita Janda. Ji atvažiavo is Vengrijos veislyno "Molnarvolgyi". Ačiū veisėjai Liviai Molnar! 2013m. kovo 24d. Šiaulių parodoje jaunimo klasėje gavo "puikiai", Jaunimo Nugalėtoja. 2013m. balandžio 21d.Panevėžio parodoje, jaunimo klasėje gavo "puikiai", Jaunimo Nugalėtoja. 2013m. gegužės 4d. Jonavos parodoje , jaunimo klasėje gavo"puikiai",Jaunimo Nugalėtoja,Best Junior, BOB!!! 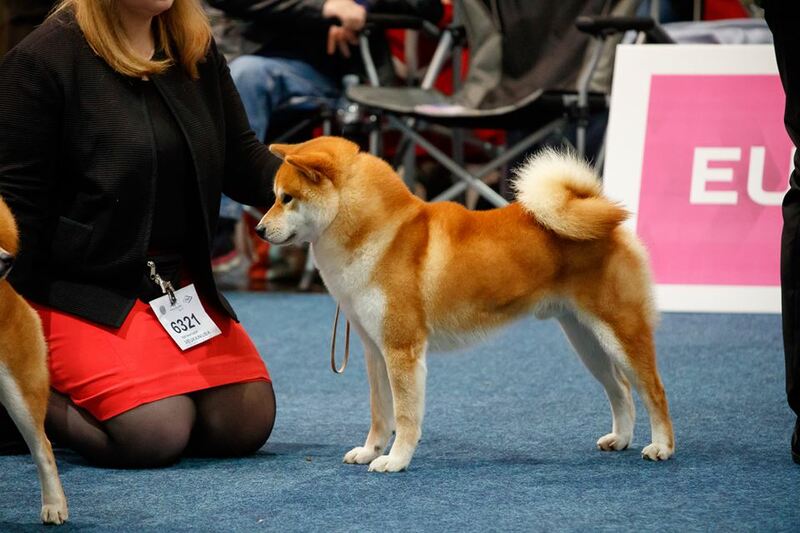 Taigi Iciytadaki Go Tokime -Lietuvos Jaunimo Čempionė!!! 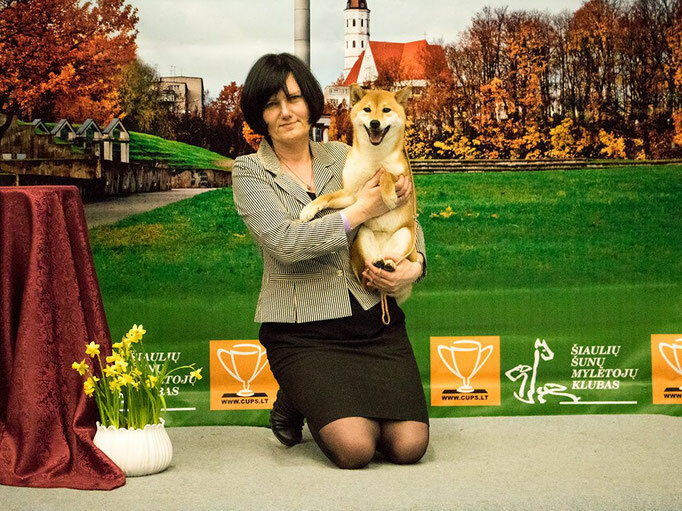 2012 metų liepą mūsų veislyne atsirado nauja veislė- japonų šiba. Iciytadaki Go Tokime(Toki) atkeliavo iš Vengrijos veislyno "Iciytadaki".